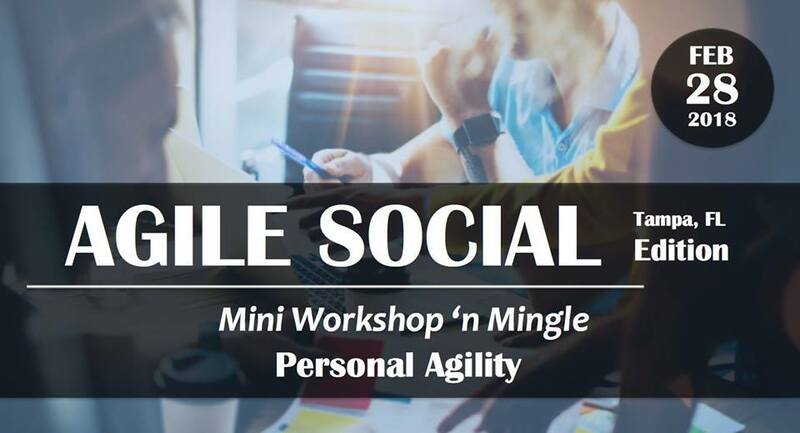 Join fellow Agilists to mix ‘n mingle with a mini workshop on the topic of Personal Agility. Discover how to apply Agile techniques to advance your career, achieve more of your goals, and do more of what matters with a holistic view of your life. If you’ve ever felt busy, overwhelmed, or like you have a never ending backlog of things to do, join us for this mini workshop and learn how to apply Agile techniques to be more effective outside of work. Personal Agility is a simple framework for doing more that matters. The primary goals are for you to be effective, and for you, your family and any stakeholders at work to be happy with what you accomplish! This talk connects who you are with what you do and who you are becoming. You can get better at getting things done. More importantly, you can figure out what really matters so you can so ‘no’ to things that don’t. And you learn to extend these patterns to apply them where traditional Agile methods may not be not applicable, like with family, your manager or other relationships. This mini workshop will be led by Maria Matarelli, an Agile Coach and Certified Scrum Trainer (CST).